Do not make statements or sign documents until speaking to your attorney. Besides medical expenses, there are multiple costs associated with an accident or liability issue to which you may be entitled. As the victim, you may be eligible for compensation for lost wages, property damage, the cost of services you might normally have been able to do for yourself (like lawn mowing or child care), damage to your reputation, and mental/emotional pain and suffering. Even the loss of companionship may be compensable. Furthermore, punitive damages may be available if malicious intent was involved. What do you want in legal representation? Someone who is available to deal with your concerns at any time. There is nothing worse than enlisting the help of a professional, only to find that they are completely unavailable when you have questions or concerns. You want someone who truly cares about your situation, who is both compassionate and assertive while fighting for your concerns. What will my Attorney do from here? 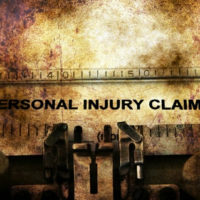 At the Law Offices of Robert W. Elton, we have seen more personal injury cases than you can imagine. We know how to investigate cases, assess the facts, and put together a strong case for our clients. We understand which forms need to be completed, and we know what the courts look for in adjudicating cases. Our experience dealing with insurance companies, their attorneys, and the list of excuses that commonly make their way into these cases is unparalleled. While you concentrate on getting well, we will focus on getting justice on your behalf. Contact our offices in Daytona & Ormond Beach today for your free, confidential consultation.